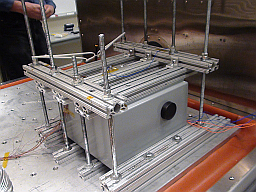 The fourth stage, Validation, consists of a pre-production prototype or process. This is where manufacturing techniques are developed and market validity is established. How long will my product last? Does it support my warranty period? Does the packaging keep it from being damaged during shipment? What do I need to pass formal EMC testing after a failure? Compliance Crisis Management we are all too familiar with. With a findings report in hand, you may be struggling to find the next step.... Fearing a schedule slip, you give us a call.... Or you are just about ready to take your product to market when you realize you haven’t prepared or even thought about the compliance regulations for your product. Either way, Percept saves the day with easing a compliance crisis.